Game Recap: The Big Walnut Boys Lacrosse team opened up the season on the road against Licking Valley High School. The Eagles got on the scoreboard first but ultimately ended up falling to the Panthers 13-5. Top Performers: Sam Metzger- 3 Goals, 1 Assist, 3 Ground Balls; Judah Lozano- 1 Goal, 1 Assist; Caleb Bailey- 1 Goal; Josh Hageman- 9 Saves, 4 Ground Balls; Nathan Montgomery- 3 Forced Turnovers, 4 Ground Balls; Tyler Paul- 3 Forced Turnovers, 3 Ground Balls; Gordon Rond- 1 Assist, 3 Ground Balls; John Grumney- 1 Assist. Game Recap: Big Walnut started out slow and couldn’t catch up to a good Dublin Scioto team on opening night for girls Lacrosse. The Eagles were back at it on 3/19/19 vs Delaware. DUBLIN – Big Walnut girls lacrosse coach Steve Palmer is hoping that his team continues to do what it has done in each of the last two seasons, and three of its last four – improve on its win total. But sophomore Ashleigh Rothe and host Dublin Scioto had different plans in the season opener Friday night, March 15. Rothe scored four goals and assisted on another as the Irish built a 9-2 lead at the half on their way to a 14-6 victory over BW. Rothe finished with five goals and three assists to lead the Irish, who led by as many as 10 late in the second half. Palmer thought his team was its own worst enemy, though. It wasn’t what Palmer envisioned for the opening game. Still, not all was lost for the Eagles. Cassady Becker and Ashley Fisher scored two goals apiece and goalie Aubrey Logue had 12 saves, including a string of four in a two-minute stretch in the second half. “(Logue) looked a little nervous in the first 8-12 minutes, but I thought she settled down,” Palmer said. Becker had 51 goals last season to become the program’s all-time leading scorer. Her two Friday night give her 119 for her career. Palmer hopes the addition of Fisher, a freshman, will take some of the focus off of Becker this season. Parker Novak and Allie Long also tallied goals for the Eagles (0-1), who finished 7-11 last season after winning six games in 2018 and five games each in the previous two. Both played junior varsity last season. Avery Schwab had two goals and an assist, Tiffany Trinh had a pair of goals and Allie Vogel and Jessie Hartman each tallied a goal with a pair of assists for the Irish (1-0), who went 12-4 last year – posting the most wins in program history. It was just their second winning season in school history. Madison Berry and Karleigh Rothe each added a goal, Kiersten Jennings had a helper and Kim Martinez Torres had five saves in goal for Scioto. 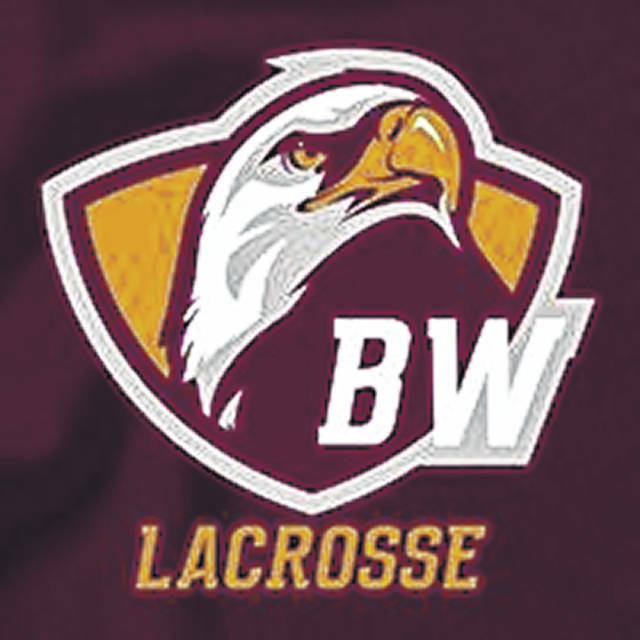 Next up, BW travels to Delaware Hayes in a non-league contest Tuesday night (March 19) at 7 p.m.
Information for this story was provided by the coaches and Michael Rich for The Delaware Gazette.